I come from a long line of Bloody Mary lovers. Proof: At my parents’ house, we drink them before dinner. 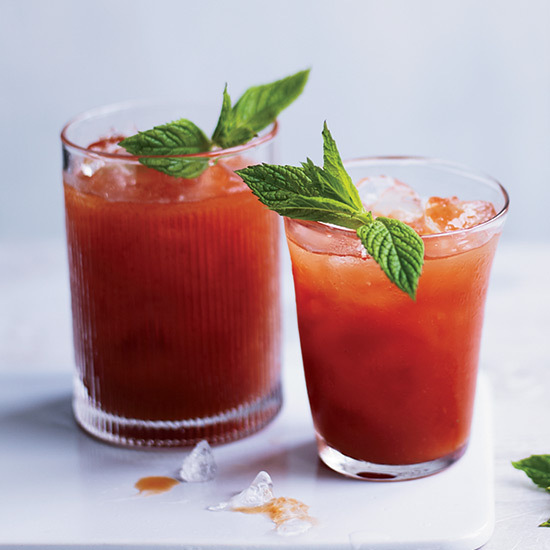 It doesn’t matter what time it is, we’re always ready to slurp some boozy, spicy tomato juice. But recently I’ve come to a realization that might cause a rift in the Sterling clan. In my opinion, the savory, spicy, classic brunch cocktail pales in comparison to its literally beefier brother, the Bloody Bull. 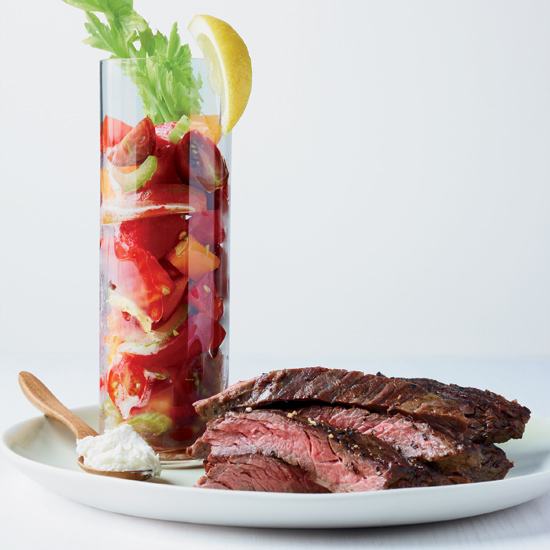 Rumored to have originated at the legendary Brennan’s in New Orleans, a Bloody Bull is a Blood Mary enriched with beef broth. 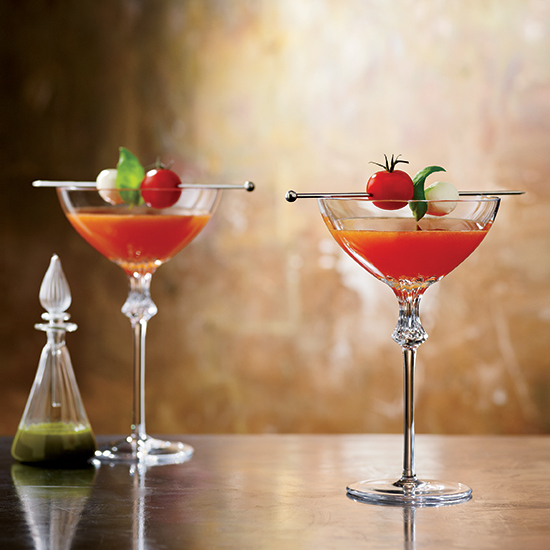 It might sound simple, but that extra ingredient transforms a good drink into a great cocktail. 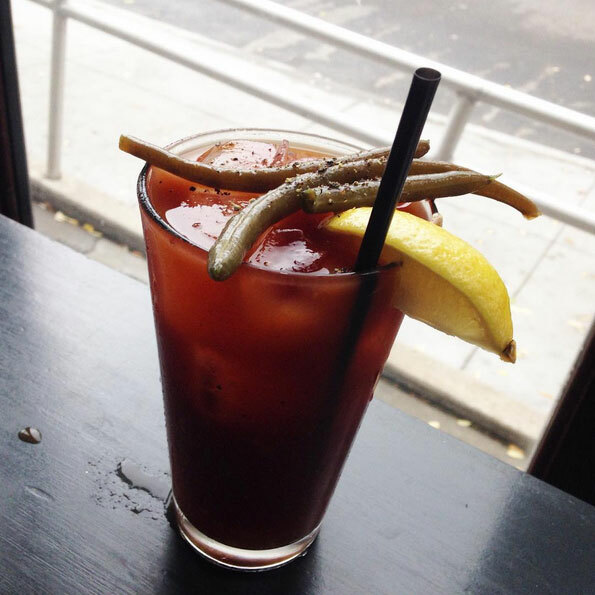 A Bloody Mary is traditionally made with powerfully pungent ingredients like sinus-clearing horseradish, celery salt, spicy hot sauce and sometimes even kimchi. The tomato juice does an acceptable job of melding all of those flavors together, but if you get the proportions slightly wrong or use low-quality juice, the drink degenerates into gross chaos. But add a little beef broth and suddenly everything comes together into one elegant, deliciously savory, umami-packed cocktail. 13 Best Breakfast Sandwiches in the U.S.
That said, it does take some know-how to make a good Bloody Bull. It’s more complex than simply dumping in a shot of canned beef broth or muddling in a bouillon cube. I’ve had Bloody Bulls so light on the broth that they might as well have been vegetarian, and I’ve tried others that had the opposite problem—they were like cold soup. I’ve also had the perfect Bloody Bull at Brooklyn Star, a neo-Southern-style restaurant and bar in Brooklyn’s Williamsburg neighborhood. “In my belief, a Bloody Bull should be thick and nutritious with a heavy vegetable base,” says bar manager Simon Gibson. The secret to his extra-hearty, perfectly balanced version? Guinness. “Guinness in everything,” he says. The Irish stout shows up both in the Gibson’s homemade beef broth and in the drink itself. Not only does the beer up the cocktail’s umami quotient, it also gives it body and a bit of froth, which otherwise might be lacking because Gibson will never shake a Bloody Bull—it would dilute it too much. If you’re ever in Brooklyn, I highly recommend stopping by Brooklyn Star for a bowlful of fried pig tails and a Bloody Bull garnished with tangy pickled green beans. But if you can’t make it, try your hand at Gibson’s recipe. Pour all ingredients (except for the garnishes) into a shaker with ice then “roll” the drink back and forth between two shakers and pour the entire mix into a Collins glass. Top with spicy pickled string beans and cracked pepper. Mix all the ingredients together and store in the fridge. If you have the time, mix everything except for the tomato juice and lemon juice together a day or two ahead of time. Add the tomato juice and lemon juice the day you are going to make the cocktail.